A complete guide to identifying, picking, and using mushrooms—and which ones to avoid—this book offers a photographic A-to-Z of the most popular mushrooms, seen both in the wild and in close-up photos of picked specimens. It provides clear identification notes, often with labeled photos, as well as information on habitat and season, with storage hints for each type. 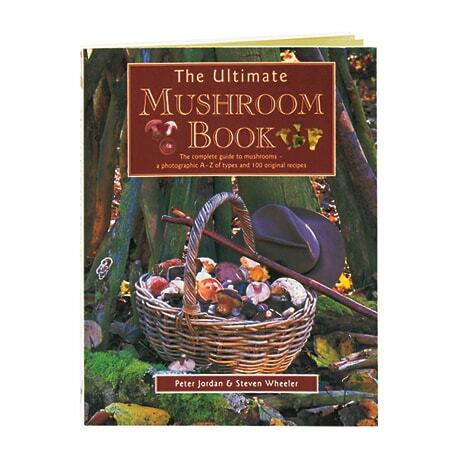 Here too are 100 recipes, both for purchased and freshly picked mushrooms, from a Creamy Beetroot and Mashed Potato Gratin with Wild Mushrooms to an Old English Steak and Mushroom Pudding, with step-by-step photos for each recipe and expert culinary tips and hints.